The Violet Fire and Ray is for Purification, transformation and liberation from negative consciousness. Learn to use it and Decrees in your life and regions where you live. We can call upon the violet fire and be connected with the Temple of The Violet or Amethyst Ray and the masters on that Ray and visit the Temple in our meditations. Asana Mahatari is St Germain’s soul name and we also know his Twin Flame, Lady Portia and we have Lady Amethyst and AA Zakiel and other angels who all serve on the Violet Ray. Enjoy the article below. AS: After the meditation of Saint-Germain with the communication aspects of meditation and El Morya with the Body of Fire come to understand that the team “Venice” is necessary to proceed with the study and engagement with the Violet Fire Fire and life-giving. Materials included in this message that was given by Saint Germain in different periods of my spiritual path (2014g.-2016.). They were edited and supplemented with Saint Germain for meditative work with the Violet Fire in the “Venice” Light team. Hail Flame of Freedom Angels of the Earth! Today, the “Venice” Amethyst group will visit the Temple of Earth, and each will be devoted to the mystery of Violet Fire service at the deepest genetic level, because the mission of every Lightworker is intertwined with the Violet Fire of the Aquarian Age. The decree or mantra given to you for calling the Violet Fire is the key, not only for their own cleansing and healing, but also to interact with the Violet Fire on a planetary level with the Fire energy system throughout the world. And each of you is a part of it and brings the frequency of the Violet Flame to strengthen its action in transmuting dense worlds of Earth. You are World Servants of Fire of the Violet Flame carry your gift in this great time of change and transformation of life on planet Earth. Purple Fire increasingly manifests itself in the world, clearing the path for the Ascension of the Planet inhabitants. Our task – to raise the vibration of the four global compact dimensions, to all living beings of the planet could tangibly show their true essence and began to sound in the Divine frequencies. Violet Fire are actively interacts with the Earth’s matter, which have to go through a transformation in the Crystal Light. That is what will be revealed to everyone in the process of Ascension. The total inner light atoms will turn solid matter in the pure light. Violet Flame allow the Light of the Spirit be manifested in every atom of biological matter and to be rejected as the original Light of the Creator, is present in all of God’s creation. And Earth Angels pure energy of the Violet Flame adjust the vibration of solid matter in the divine sound tone. All your body exist in the full integration of its functions and vibration characteristics, and hence the action of the Violet Flame is not limited to the physical body, but also other material thin-shell of soul. Calling the activity of the Violet Flame in their cells and atoms, you bring the day and hour of your Ascension. The role of the angels of the Aquarian Age is very important, because you can consciously interact with the Earth’s Fire Transmutation dense matter, not only for themselves, but for all inhabitants of the planet. Millions of angels of the Violet Ray, the Violet Flame every day spread around the planet, purifying and transmuting the body of the Earth and even the air you breathe. Paid to cooperation with the Violet Fire of only 15 minutes a day, you strengthen the light of their physical atoms in a thousand times. Daily accumulating capacity of the Violet Flame, you will become True Beings of Light in the physical body. Your body will gain the ability to make all lots of light, enhancing your aura and expanding your consciousness. Today we forwards you to the Abode of the Violet Flame – Amethyst Temple of Earth, so you can be filled with it miraculous power and tenderness at the cellular level and stay in your fiery core, always radiating Light Purple Hearts and attuning your world around with the frequencies of the Divine Being. * We are moving on the Violet Ray of Saint Germain in the central part of the Earth, and find ourselves in a space beam of white light, this space is full of very thin, clean energies of the Violet Ray, which is active in the white-fire space – it flares, glows with different shades of purple light is constantly changing it tone. * We see the magnificent Temple of Amethyst, it really is created from a single crystal amethyst. Saint-Germain and Portia meet us, filled with the gentle love and escorted inside the temple. * Inside the Temple all filled with white light. There are many different shades of amethyst, and other crystals present here – pink, blue, gold, emerald, diamonds are transparent. All Crystals is alive and they welcome us. We are in the Violet Temple of Earth and Purple Fire Temple fills the sounding your Sacred Heart and attunes to it. Amethyst crystals in the temple is the vibration of all eight rays, because Violet Ray completes the vibration code rainbow spectrum, moving in perfect white light. Soul passing experience on different Rays of Divine consciousness, the Violet Flame purifies it, combining precious Crystals of Love-Wisdom, and then receives the Freedom of the Divine Being. That is why it is significant role of the Violet Flame in the coming Golden Age of the Earth. It Violet Flame will come out for the inhabitants of the planet to the level of the Divine Consciousness, which can be manifested only in the crystal clear earthly vessel. Violet Ray is designed to change the very nature of your soul and bring to Unity Consciousness with the Cosmic Christ and God the Father-Mother All It Is. The Holy Spirit in the Violet Ray into contact with the soul, restoring its original purity. Filled with the Violet Flame, the soul becomes capable of reacting with the Monadic Presence and be the executor of Its WILL BE – Angel, the Master, Christ, the Creator, God. This is what every Light worker thinks and dreams of being in the Earth works. And that is what gives YOU PURPLE FIRE! * And now we are moving in the great hall, which is located in the center of PURPLE FIRE in the form of a huge violet sphere. In the Temple of many angels of the Violet Flame. We are asked to go to the Violet Fire. * Saint-Germain and Portia are within our circle near the Violet Fire, a circle around us Violet Angels. They maintain our contact with the Violet Fire Temple. * Hologram of the Flower of Life reflected in the heart of each of us and washes purple threads of different colors every part of our being … Purple Lotus within each of us becomes very large, its petals grow much more in our body. * The petals of our lotus as the Mobius loop, out of the heart of our space and create around each violet sphere and Violet Fire is moving to these eights inside. Eights is a lot, at all 360 degrees. This area is also a lot more of our body, and each is embraced by the Violet Fire, which is increasingly saturates the Sphere on the Mobius strip. The Temple of Purple Sphere is the Source of Violet Fire, with whom you can collaborate in the coming years in the world, and the center of this area is the White-Fire primary Source point – zero point of the planet. Each time, activating the Source of the Violet Flame for the needs of the Earth, you will be immersed in the frequency of the Violet Fire, spreading them around. You can project the Violet Sphere, where necessary, in those dimensions where you will be invited. The impact of this sector of the Violet Fire is a powerful healing and transformation to a low-frequency vibration of people, nature, terrestrial worlds. Watch carefully now, as you interact with your Sphere of the Violet Fire. * We see how within the Sphere in the Mobius loop moving particle diamond-sparks emitting white light, just consist of eight Fire and White Diamond Light. Their motion is accompanied by a Live Violet Fire, it spreads in concentric rings, like pulses – the first ring, second, third, etc. There is the power of the One Violet Fire within us, and the Violet Temple of the Earth. Our Light Body is perceived as a huge purple ball of fire with white fire core. Note that activating this powerful Sphere in yourself, you connect with the Violet Temple of the Earth. You can project the Purple Sphere of the Temple in any point of the planet Earth. To the Violet Flame are no restrictions, it can be transferred to any number, all and always. Activating Sphere of the Violet Flame, you place it where necessary, or put the person next to it inside the sphere, not forgetting the express intention that it was given the Violet Fire necessary and appropriate for it in the frequency spectrum and quantity necessary for it. Be sure to invite your Higher Selves and Higher Selves of people who want to pass the Violet Fire. *My experience. Calling upon the Higher Selves of members of my family in the Sphere of physical Violet Fire, I expressed the intention that they should be given the amount of the Violet Fire, and that the frequency spectrum they need. * I see a huge Violet Sphere, much more my body and the bodies of my family members. Inside Diamond Fields moving eights and there is a very rich Violet Fire, transparent, purple hue. Higher Selves of my family members manifested radiant light. * I see and feel how my Purple Sphere instantly filled with enormously powerful vibration of the Violet Fire, saturating me and members of my family, Transparent Purity, subtle perception, love and understanding. * In front of me there are different pictures of my earthly life and communication with family. Of Purple Spheres radiate Purple Fire’s eights and flow to my family right in the heart, filling them with love and pure Violet Light. Everything it touches Violet Fire, immediately cleaned and transformed into light – emotions, thoughts and events. The action of the Violet Fire in the Violet Temple is an indispensable attribute of any planetary work. In this temple, millions of inhabitants of the Earth are coming every day to get the cleansing and blessing of the Violet Fire. Violet Fire in your heart, accompanies you in this life, constantly tuned vibrations of the Violet Flame to the Violet Temple of Earth. You can call upon Violet Fire in their various ministries for healing and transmutation of low-vibration energies of Earth. And let your ministry of Violet Fire will become a daily ritual magic, approximating the Ascension of Planet Earth. Be the Violet Fire – it is not only your right, but the reward! Along with beloved Portia We keep you in our One Heart, let our love to flow in every atom of your biological body, keeping you in balance of Spirit and matter, Purity of Mind and Soul Love. We ask you to be attentive to everything that happens to you today and in the coming days. You will hear the call of your Monad from the Heart of the Creator, and this will be your starting point of the visible space travel from planet Earth. Thank you dear St. Germain and Portia, dear Violet Angels! Thank you magnificent Violet Fire! If you would like to support this Sacred Blog with your love donations to help fund our overhead and projects for ascension and for the new children. We also donate to other lightworkers ourselves who we follow. TO MAKE A MONTHLY OR ONE TIME CONTRIBUTION FROM YOUR HEART. Paypal donation for MELCHIZEDEKIA – use this link to Paypal donation page fill in what you wish in USD or EURO. What ever you can is fine. Symptoms Of Energy Shifts -Physical, Emotional, Energetic – What To Do? Today I share this excellent article to help you understand what you may be feeling with all the cosmic energy upgrades to your body systems. Your pranic tube and meridians are receiving more light and sound, and from there to the chakras, organs, cells, muscles joints and bones. Your DNA is changing. Old memories of agony, pain, trauma are being flushed out of your cells, muscles, organs, mind and you probable have some of the symptoms mentioned in the article below. Enjoy reading and dont panic! Comment under the blog if you wish. If you require assistance in form of energy & sound healing to help you balance yourself and align with these energy shifts and to recognize your soul purpose, or you need advice, I offer private healing and intuitive life counseling sessions. See my homepage with contact info – links above. If you would like to connect with me on Facebook, you can click on the Facebook Icons on the right side column of this blog or you will also find the links on my homepage, as well as my FB groups, twitter and soundcloud accounts. YOU CAN ALSO CLICK TO FOLLOW THIS BLOG BY EMAIL. CRYING FOR NO REASON, FEELING EMOTIONALLY VULNERABLE:When blockages from this lifetime, and other lifetimes began to release the emotional body will react in this manner. The Photon Belt energy stimulates and contributes to the spontaneous release of these burdens. Trying to control or resists these urges further represses and blocks the energy making things more difficult. Crying, moaning, sobbing or toning becomes a cleansing release. Use a Bach flower remedy, or an essential oil to help with the emotional body. Some of these symptoms are being felt by a great many people. Many are rushing off in panic to their doctor, chiropractor, herbalist and so on and usually told that there is nothing really wrong with them. And this is the truth. For all these symptoms are just temporary and simply indicate that the above mentioned physiological changes are occurring. Some of the recommended relief remedies for the above are: Go with the flow, don’t fight it. If you feel tired and exhausted, rest and get plenty of sleep. Drink plenty of water for you are detoxifying and dehydrating quicker than usual. To relieve emotional tension and stress levels take Valerian. Fenugreek relieves stress on the lymphatic system and helps the detoxification. To relieve muscle spasm take Valerian and try mud baths or a long hot soak in a bath into which you add a cup of Epsom salts. Do this daily. Recognize that even if you are having heart palpitations or breathing difficulties that it is the heart chakra or the throat chakra that is unblocking and that the symptoms are temporary. You aren’t dying, just changing! *How many of these energy shift symptoms are you feeling? I share today a wonderful channeling from sister Jenny Schlitz to explain how to un-restrict yourself finally. I hope that my questions have helped and that this blog finds you well. I truly appreciate all who share this blog, it means the world. Sending you all the love and joy we can handle. May you all be blessed. Ich hoffe, daß meine Fragen euch geholfen haben und dieser Blogpost euch bei guter Gesundheit findet. Ich schätze wirklich alle, die diesen Blog teilen, es bedeutet die Welt. Ich sende euch all die Liebe und Freude, mit der wir umgehen können. Möget ihr alle gesegnet sein. Text © Jenny Schiltz 2016. Today I am guided to share with you a wonderful prayer of self dedication and surrender to your soul and Divinity. It brings you into unity with all of creation and the creator of all and grants support and protection through your gratitude and humble service. Beloved Mother Father God, Almighty I Am Presence, Holy Spirit; Bestow and Grant unto me in this Eternal Instant, Your Love and Light, for I Am Your Son, Your Daughter as You Created Me in Divine Balance! I Am Showered with Your Love, Wisdom and Power. I Am Bathed in Your Guidance and Direction, Your Upliftment and Enlightenment for the Greatest potential growth of my Soul at every Moment. Do not limit my expansion just to this Earth walk, because I Am, That I Am, and cannot be limited to a single domain. Bring forth all remaining lessons to complete My Soul Journey so I can return back to the Wholeness You Are, I Am! I call upon the Seven Mighty Elohim to surround me and become the very core of My Being, endowing me with Their Divine Virtues and Attributes so that I may Create Instantaneously, That which is Your Desire for me, Dear Lord. Take me to the Teachers and teachings at every opportunity, that will Provide, Supply and Bestow upon me, the most joyous and beneficial, effective and efficient experiences for the Upliftment, Enlightenment, Success and Completion of my 4 lower bodies, my physical ascension process, my Earth Mission in Service to Humanity and Mother Earth and My Holy Charter with You! Divine Father, Beloved Mother, Lead me to the Temples and Cities of Light and inform me of all that, which You Desire me to experience and share. Set in Love’s, ‘Energy In Motion’, the Memory Codes within my DNA and Star Trace Encodements, of these Cities and Temples of Light and the Crystalline Grids so that They may be grounded to be made manifest upon the surface of Mother Gaia, within All countries and land masses around this world. Allow the Knowledge of these Temples and Cities and Grids to flow into my awareness and recall Now! Bring unto me those whom may assist in the remembrance of this Higher Knowledge and help me with It’s dissemination with other like Minded and Like Hearted Souls. Dear God, Recalibrate my Toric Field to Its Highest Potential Frequencies at all times, and Adjust, Activate and Radiate accordingly, my lower bodies and their Love and Light DNA Programs and Encodements to automatically match those Resonances in preparation for a much Grander Co-Creative Manifestation, of Me, in You, in, through and All around me Now! Make me a Magnet for Your Love and Light! Heal, Restore, Rejuvenate and Regenerate my entire physical beings back to my Divine Soul, retrieving all my Soul Fragments and Divisions of whatsoever nature, so that All may Be Your Love once again! From All that Is Me, remove throughout all of my lives, past, present and future, while at the same Moment removing all that no longer Serves me in the Name of My Almighty I Am Presence Self, The God, Goddess within! Open my Conscious awareness, Now and forever more, to the 5th dimensional frequencies and beyond to My Divine Wholeness, where I Am One with All That Is! Beloved Mother, Father of Love and Light, I Am anointed with Your Abundance, Health and Well Being, with Joy, Happiness, and Your Inner Peace. I Am ready to do Thy Work! Beloved I Am Presence I desire to Know who my Divine Master Sponsors are in My Divine Plan with God, so that I may become One with them, to take Your Plan through me, to Beloved Vesta for Her Blessings and Bestowal of Magnificent Love and Light Investments in, through and all around me! Father, Activate my White Fire Tube of Light for my Inner and Outer Protection and Blaze and Direct the Cleansing Violet Flame of St Germaine and Lady Kuan Yin, along with Archangel Michael and His Legions of Light, throughout my Entire Being to Purify and Protect me at all times. May you open all my Communication Senses and Centres, including my pituitary and pineal glands so that I may rejoice in Direct and Clear Communion with You and All Higher Beings of Light! Also, I wish to Know who my Divine Master Sponsors are, so that I may become One with them to take Your Plan through me to Beloved Vesta for Her Investment Blessings and Bestowal of Magnificent Love and Light in through and all around me! May the Elohim, The Elementals and The Nature Kingdoms and all Beings of Light recognise your Love within, through and all around me, so that They may enter into Divine Communication in Holy Union with me, for the Greatest Good of All Concerned. I Am In Divine Service to Humanity, The Elementals, Devas and Angelic Host and indeed Mother Gaia Herself! My Heart is filled to overflowing with the Unity and Essence of “Mighty Peace and Aloha of The Elohim”. By God’s Own Hand, in Deep Humility and Gratitude I Hold before me, My Heart Chalice, poised to offer it to All Life with Ease and Grace and with My Mighty I Am Presence’s Radiant Love and Light. Tell me where You Desire me to go! Lead me to those that I may Serve in the Highest Vibrational Frequencies; Tell me what to do and say when I get there; Lead others to me, so that I may be Your Guiding Light to guide and lead them Home to You! I Am Ready, I Am Willing and I Am Filled with Your Mighty Victory, to be Able to Execute and Make Manifest Your Divine Plan here upon Beloved Mother Gaia! Bless You, Bless You, Bless You! For The Greater Glory of God Go I, I Am That I Am, In Service to the Whole! THIS IS THE TIME WRITTEN OF OLD WHEN GREAT CHANGE COMES TO THE EARTH AND ITS BEINGS, AS THE OLD OUT-MODED SYSTEM GIVES WAY TO SOMETHING NEW AND BETTER! THOUGH THE EARTH IS IN AN INCREASING STATE OF CHAOS, KNOW THAT THIS WILL BE CUT SHORT AND IS THE LAST PART OF OUR DIVINE PLAN AND OUR MISSION FOR EARTH’S GREAT ASCENSION PROJECT. THE GREAT STAR BEINGS HAVE SAID THAT WHEN THE EARTH MOVES, YOU WILL MOVE WITH HER, SO DO NOT SEE ANY OF THIS AS FEARFUL BUT AS THE NATURAL AND NORMAL TRANSFORMATION FROM ONE PHYSICAL REALITY TO A COMPLETELY NEW ONE. DURING THIS TIME OF CHAOS AND CHANGE THE BEINGS OF EARTH WILL START TO RISE UP IN A GRAND SOCIAL REVOLUTION AS THEY SEE MORE CLEARLY EACH DAY THEY HAVE BEEN HELD CAPTIVE IN AN ANTI-LIFE, MANIPULATED, PSYCHOLOGICAL SYSTEM THAT IS NOT IN THEIR BEST INTEREST! THE ‘CAT’ IS OUT OF THE BAG SO TO SPEAK NOW AND THE SNOWBALL IS GROWING IN SIZE, SPEED AND STRENGTH AS IT ROLLS DOWN HILL. THOUSANDS OF BEINGS ARE WAKING UP EVERY DAY NOW SEEING HOW THEY HAVE BEEN DUPED BY BEINGS WITH A CONTROLLING AGENDA DESIGNED TO STEAL ALL SENTIENT ENERGY. HUMANITY IS WITNESSING INCREASING CLIMATE CHAOS GLOBALLY WHICH IS THE RESULT OF POWERFUL NEW ENERGIES INTERACTING WITH THE EARTH’S MAGNETIC FIELD. MANY ARE STARTING TO BECOME AWARE FOR THE FIRST TIME THAT 3D IS NOT THE ONLY REALITY AND STARTED THEIR SEARCH FOR THESE NEW REALITIES! AS MORE BEINGS WAKE UP AND THE AMOUNT OF LIGHT ON THE EARTH INCREASES, THE CHANGES HERE WILL BECOME MUCH MORE PHYSICALLY NOTICEABLE. MANY OF YOU CAME TO EARTH AS ANGELIC FORERUNNERS, ALREADY AWARE OF THE GRAND PLAN WE ALL CREATED AND YOU’VE BEEN SPEAKING MESSAGES ABOUT THE GREAT CHANGES UNDERWAY AND GIVING ADVANCED WARNINGS TO THE THE ONES WHO HAVE SLUMBERED FOR EONS! THIS IS THE MISSION YOU CAME HERE TO DO AND YOU HAVE BEEN SUCCESSFUL! NOW YOU WILL SEE YOUR WORDS BECOME MANIFEST BEFORE ALL AND YOU WILL BE STANDING HERE STRONG AND READY TO ASSIST THROUGH IT ALL! THIS IS WHAT YOU HAVE BEEN TRAINING FOR AND MANY WILL SEEK YOUR GUIDANCE AND HELP AS THINGS UNFOLD! WE APPLAUD YOU FOR THIS GREAT WORK! THESE GREAT CHANGES INCLUDE ALL ASPECTS OF LIFE; MENTAL, EMOTIONAL, PHYSICAL AND SPIRITUAL AND THEY AFFECT OUR RELATIONSHIPS, WORK SITUATIONS, AND THE ABUNDANCE THE FLOWS TO US. THE PEOPLE OF EARTH CAN NO LONGER MAINTAIN OLD ENERGY-DRAINING SYSTEMS, HABITS, AND IMBALANCES, THEREFORE, WE MUST EXAMINE AND REPLACE QUITE A LOT. THE ENTIRE SYSTEM HERE WILL BE COMPLETELY REVAMPED DISCARDING AND REPLACING WHAT IS NOT PRO-LIFE! BEINGS THAT CONTROL AND MANIPULATE OTHERS AND WHO VIBRATE AT A LOW FREQUENCY WILL HAVE NO PLACE IN THIS NEW FREQUENCY OF EARTH. IN FACT, AS THE FREQUENCY GAP BETWEEN 3D AND 5D+ INCREASES, IT WILL BE IMPOSSIBLE FOR THIS KIND OF VIBRATION TO EXIST WHERE YOU ARE, SOON! THE UNIVERSE AS WELL AS THE DIVINE GUIDES OF THE NEW EARTH WHO WILL REPRESENT A MORE INTELLIGENT AND HEALED SOCIETY WILL PROPERLY DEAL WITH THESE LOW VIBRATIONAL ENTITIES UNTIL THEY ARE ALL COMPLETELY HEALED AND ABLE TO ENTER INTO THE NEW SOCIETY THAT IS COMING. SOLAR FLARES AND SOLAR WINDS ERUPT ON AN ALMOST DAILY BASIS AND THIS GAMMA LIGHT ENERGY ENTERS THE ATMOSPHERE OF OUR PLANET AND REACHES EVERY LIVING BEING, PENETRATING TO THE CELLULAR LEVEL COMPLETELY RE-WRITING THE GENOME OF THE SPECIES. CURRENTLY, THERE ARE NOT ONLY SOLAR FLARES COMING IN BUT ALSO LOTS OF NEW ENERGIES FROM DIFFERENT SOURCES: COMETS, STAR SYSTEMS, PLANETS AND MASSIVE GAMMA RAY BURSTS IMPACTING EARTH CONSTANTLY FROM THE CORE OF THE UNIVERSE. THIS TIME, MANY EARTHLINGS ARE OPEN AND READY TO RECEIVE THESE ENERGIES AND LIGHT-CODES AND LET THEM WORK THROUGH THEIR BODIES AND THEIR WHOLE SYSTEMS. THIS HAS AN ENORMOUS POTENTIAL TO UPLIFT THE CONSCIOUSNESS OF HUMANITY IN A VERY QUICK WAY. WE MUST RENEW, RE-CODE AND REWRITE A LOT OF OLD PROGRAMS THAT WERE WRITTEN INSTALLED IN THE HUMAN BODY AND MIND ON A SUSTAINED BASIS FOR EONS. WE ARE NOW WAKING UP AS A PLANET AND AS A HUMAN RACE. STOP FOR A MOMENT AND THINK ABOUT THE IMPLICATIONS AND WONDERS OF THIS FACT! DOESN’T IT CREATE A CHILD-LIKE FASCINATION INSIDE OF YOU AS YOU CONSIDER THE INFINITE NEW POSSIBILITIES? WE SAID EARLIER THE MORE ADVANCED BEINGS HERE, THE GUIDES OF NEW EARTH CALL FIRST WAVE ASCENSION BEINGS WILL DEAL WITH THE BEINGS WHO ARE NOT QUITE READY YET AND WHO ARE NOT ABLE TO INHABIT THE NEW EARTH! WHAT IS THE PROCESS THAT WILL GET THEM ALL UP TO WHERE WE ARE? THE ANSWER IS SUFFERING AND PAIN! YOU MAY SAY, THIS DOES NOT SOUND VERY PROMISING FOR THEM BUT WE SAY, “YOUR OWN SUFFERING AND PAIN OVER MAN INCARNATIONS AND EVEN IN THIS LAST ONE WAS THE CATALYST THAT WOKE YOU UP!” EVERY MASTER WILL TELL YOU THAT SUFFERING AND PAIN IS WHAT CAUSES A BEING TO BEGIN AND COMPLETE THE ASCENSION PROCESS! THE MASTER WILL ALSO TELL YOU THAT THIS PAIN AND SUFFERING IS ONLY TEMPORARY UNTIL YOU REACH A STATE OF INNER HEALING WHERE YOU HAVE TRANSCENDED IT ALL! THE TIME IT TAKES TO GET TO THIS TRANSCENDED STATE OF BEING IS TOTALLY UNDER YOUR CONTROL. BEINGS THAT HAVE NOT REACHED THIS TRANSCENDED PHASE IN THEIR SOUL’S EVOLUTION ARE GOING THROUGH A LOT OF PHYSICAL AND EMOTIONAL PAIN RIGHT NOW AND OTHERS FEEL UNUSUALLY TIRED. SINCE HUMANITY IS TAKING SUCH A MAJOR STEP IN THEIR EVOLUTION IN CONSCIOUSNESS AND THEIR PHYSICAL BODIES, MANY MIGHT EXPERIENCE A TIME, WHERE THEY FEEL CHALLENGED AND PUSHED TO THEIR LIMITS. 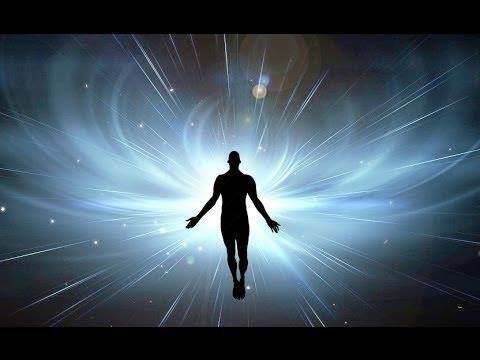 THE LAST WAVE OF BEINGS TO ASCEND ARE STARTING TO SHIFT THEIR 3RD AND 4TH-DIMENSIONAL LIVING TO A 5TH-DIMENSIONAL FREQUENCY. THE EARTH ITSELF IS NOW VIBRATING IN THE 5TH DIMENSION (AS WELL AS MUCH FASTER) AND A LOT OF HUMANS HAVE ALREADY UPGRADED THEMSELVES TO THIS LEVEL AND TO HIGHER DIMENSION AS WELL OR ARE DOING IT RIGHT NOW. NEW ENERGIES OF LOVE ARE ENTERING THE EARTH AND A NEW POTENTIAL FOR HUM-KIND HAS AWAKENED. THE NEW LIGHT FREQUENCIES THAT ARE COMING IN NEED NEW SPACE. THEREFORE, WE ARE GOING THROUGH A DEEP CLEANSING TO GET RID OF EVERYTHING OLD, RESTRICTIVE AND DENSE, THAT WE NO LONGER NEED. THE PHYSICAL BODY GETS RID OF TOXINS AND OLD PROGRAMMING. THE EMOTIONAL BODY HEALS WOUNDS FROM THE PAST AND PRESENT AND DETOXES FROM UNHEALTHY EMOTIONS LIKE ANGER, GRIEF OR SADNESS. OUR MIND IS CHALLENGED TO RELEASE OLD BELIEFS AND SURRENDER INTO THE UNKNOWN. OUR ADVICE HERE IS QUESTION EVERYTHING AND LOOK MUCH DEEPER INTO WHY YOU BELIEVE A THING. IF THE BELIEF SYSTEM CAME FROM INSIDE THE MATRIX IT IS DISTORTED AND NOT ALIGNED WITH THE 5D LEVEL OF TRUTH! IMPORTANT TO REMEMBER HERE THAT THERE IS NO ABSOLUTE TRUTH BUT INFINITE, MORE ADVANCED AND HIGHER LEVELS OF IT WITH NO END! THE HIGHER A TRUTH VIBRATES, THE MORE TRUE IT IS! TRUTH IS SUBJECTIVE AND IS IN DIRECT PROPORTION TO THE TOTAL FREQUENCY LEVEL ONE RESONATES AT. THERE IS VERY LITTLE DATA (LIGHT) IN THE DARK 3D MATRIX, SO THIS IS ALL THE DATE A BEING VIBRATION AT 3D COULD HAVE ACCESS TOO. THE VERY SEEKING OF KNOWLEDGE AND THE RATE AT WHICH IT IS INTEGRATED (ACCEPTED) CAUSES THE INTERNAL VIBRATION TO INCREASE IN DIRECT PROPORTION. AS WE ARE UPLIFTED AND AS WE MOVE UP THE VIBRATIONAL SCALE, WE ARE REQUIRED TO LEAVE EVERYTHING OUTDATED, DENSE, AND THAT WHICH DOES NOT SERVE OUR SOUL BEHIND US, SO WE CAN ENTER INTO THROUGH THE VEIL INTO A NEW WAY OF BEING. THE FASTER THIS PROCESS OCCURS, THE MORE LIKELY WE MIGHT FEEL SYMPTOMS ON A PHYSICAL LEVEL. DO NOT ADD ANXIETY TO THIS AS IT IS VERY NORMAL, AND ONLY TEMPORARY. AS NEW LIGHT DATA IS INTEGRATED INTO THE BODY, A BEING WAKES UP WITH THE SYMPTOMS RELIEVED AND FEELS LIKE A NEW CREATION! DURING DNA-LIGHT-DATA INTEGRATION PERIODS, MANY EXPERIENCE ASCENSION SYMPTOMS SUCH AS NAUSEA, HEADACHE, FLU-LIKE SYMPTOMS, FEELING SPACEY AND DISCONNECTED, IN-ABILITY TO SLEEP, SINUS PROBLEMS AND OTHER ACHES AND PAINS. AT TIMES WE MIGHT ALSO FEEL A SYMPTOM THAT GOES BACK TO ANOTHER LIFETIME, WHICH WE ARE HEALING. IT ALWAYS HELPS TO KNOW, THAT WHAT WE ARE FEELING, WE ARE HEALING. THE GREAT BEINGS FROM THE STARS TELL US THAT THIS NEW LIGHT DATA IS ONLY ENCODED INTO THE DNA WHEN A BEING IS IN A DELTA SLEEP STATE. DURING THE TIMES, WHEN YOU MAY FEEL VERY TIRED AND EXHAUSTED, IT IS HIGHLY RECOMMENDED TO JUST SLEEP BECAUSE DURING OUR SLEEP STATE WE CAN PROCESS. WE INTEGRATE, IN A MUCH QUICKER AND EASIER WAY IN DELTA SLEEP STATE THAN IN WAKING CONSCIOUSNESS SINCE NO EGO OR FEAR IS BLOCKING US. THIS IS ALSO TRUE FOR INNER HEALING AND CLEARING ENERGY BLOCKAGES FROM OLD EMOTIONAL TRAUMAS. WHEN WE WAKE UP IN THE MORNING, STILL FEELING TIRED; THIS MIGHT BE A SIGN THAT WE HAVE ALLOWED A LOT OF TRANSFORMATIONS OCCUR DURING THE NIGHT. IN THE ANGELIC COMMUNITY WE HAVE A SAYING AFTER WE INTEGRATE LIGHT DATA DURING DELTA SLEEP. WE SAY, “I WAS DID A LOT OF WORK LAST NIGHT!” BY THIS WE MEAN WE MAYBE DID SEVERAL HUNDRED EVEN THOUSAND OF COMPLEX THINGS AT THE SAME MOMENT (MULTI-TASKING ON MANY LEVELS) EVEN TRAVELLING TO MULTIPLE PLACES AND HEALING OTHER BEINGS WHILE WE DID OUR OWN INNER WORK! IT IS SAID THAT IT WOULD TAKE MANY YEARS IN WAKING CONSCIOUSNESS TO DO THE SAME AMOUNT OF ASCENSION WORK YOU ACCOMPLISH IN 8 HOURS OF DELTA SLEEP. DELTA CONSCIOUSNESS IS ONE LEVEL ABOVE HUMAN BODY DEATH AND MANY MASTERS AND MONKS ARE ABLE TO ACHIEVE THIS STATE OF CONSCIOUSNESS DURING THEIR MEDITATIONS, SLOWING THEIR BREATHING AND HEARTBEAT TO A STATE THAT RESEMBLES BODY DEATH. WHAT’S INTERESTING ABOUT THIS IS, NO MATTER HOW LONG THE MONK STAYS IN THIS STATE OF BEING, THEY ARE AFFECTED BY NO EXTERNAL FACTOR, NOTHING IN THE BODY CHANGES AT ALL AND THEY ARE ABLE TO BRING THEMSELVES BACK TO WAKING CONSCIOUSNESS AT ANY POINT BY THEIR INTENTION. OUR GUIDANCE ON ASCENSION SYMPTOMS IS THIS: TAKE IT EASY ON YOURSELF DURING THESE TIMES AND SHOW YOURSELF NOURISHING TENDER LOVE AS A MOTHER WOULD FOR HER SACRED BABY! BREATHE SLOW AND DEEP SEVERAL TIMES PER DAY, GROUND THE BODY USING CRYSTALS AND BY WALKING BAREFOOT ON GAIA! ONLY ENERGY FOODS AND NATURAL HERBS, RELAX AND LET GO FULLY ALLOWING SAND ACCEPTING ALL OF THIS. SEE IT AS THE WAY IT IS AND KNOW THAT YOU AND YOUR BODY ARE PERFECTLY FINE! THE OPPOSITE AND NOT SO PRODUCTIVE THING IS TO PANIC THINKING SOMETHING IS BAD WRONG AND RUSHING TO THE EMERGENCY ROOM ONLY TO FIND OUT YOU ARE HAVING A PANIC ATTACK AND THAT ALL TESTS SHOW THAT NOTHING IS WRONG WITH THE BODY! THIS IS ALSO A WASTE OF TIME AND 3-D FAKE MONEY! AS AN ANGELIC AND HUMAN RACE CO-HABITATING THE EARTH, WE ARE NOW RELEASING ALL THE OLD DENSITIES AND RESTRICTIONS. WE WILL NEVER GO BACK TO THE LIMITING BELIEFS AND LIVES WE ONCE HAD. NOW WE ARE GETTING IN ALIGNMENT WITH OUR HIGHER ASPECTS (OUR GOD-HOOD). BY SHEER INTENTION, AND INNER DISCIPLINE WE ARE WORKING OUR WAY INTO OUR OWN GOLDEN AGE AND A NEW WORLD FILLED WITH JOY, PEACE, LOVE, AND FREEDOM. IF YOU WILL MAKE YOUR ASCENSION THE NUMBER ONE PRIORITY AND WORK ON IT WITH ALL OF YOUR BEING, AND THE MORE YOU SURRENDER TO IT ALL AND RELAX INTO IT AND ALLOW IT WITH FULL EMBRACE, WE ASSURE YOU THAT YOU WILL MAKE A QUANTUM LEAP FROM A HOPELESS, DESPERATE, FEARFUL STATE OF BEING TO AN AMAZING NEW LIFE WHERE EVERY NOW MOMENT IS FILLED WITH MIRACLES AND MAGIC! PEOPLE WILL LOOK AT YOU AND ASK HOW IS IT YOU ARE SO MAGNIFICENT, IN EVERY WAY AND THEY WILL WONDER WHAT YOUR SECRET IS! IF THEY ARE READY AND WILLING (MOST OF THEM ARE NOT QUITE YET) THEN SIMPLY TELL THEM ALL THAT WE HAVE TOLD YOU! Es gibt viele Misverständnisse über was die Zwillingsflamme eigendlich ist. Jeder sehnt sich nach den Partner der einem ergänzen soll. Der innere Partner ist die Dualseele oder Zwillingsflamme. Es gibt in der aussen Welt eventuel eine Person der den Zwilling der Seele verkörpert, oder nicht, oder etwas anderes. Es benötigt viel Aufklärung, da viele dieses nicht genau verstehen was so energetisch passiert wenn die Dualseelen sich finden und vereinigen beginnen. Es ist nicht so wie viele denken. Wenn die Personen sich treffen die von den Dualseelenteile behaust werden, kann es oft komplizert sein, obwohl es eine grosse Anziehung gibt, aber auch ein Abstossen. Warum ist das? Es ist weil die ursprüngliche Liebe der Seelenschöpfung so stark ist, dass es alle Wunden und giftige Verhaltensmuster aufdecken will, um durch die liebe gereinigt zu werden. Die Verkörperungen der Dualseelen, sollte man sich in person auch begegnen, sind beide Lehrer und Spiegel zu einander. Sind sie als menschliches Liebes Paar oder Lebenspartner eigendlich geeignet? Was passiert auf der Seelenebene und mit den Menschen wenn sie Seele sich erst vereint? Die Seelenanteile der Zwillingsflammen die in höheren Dimension ist, soll sich erst vereinen. Oft träumen Menschen von den anderen. So lange man NÖTIG ist, kann eine menschliche Partnershaft zwischen Zwillingsseelenverkörperungen nicht klappen. Es geht erst um die Selbstliebe. Wer sich nicht selber liebt und im Äusserem danach sucht, bekommt nur Spiegelungen zurück seines mangels und nicht aufgearbeiteten emotionalen und gedanklichen Muster. Der Dual ist ein Lehrer der die Qualitäten die einem fehlen hat, die man in sich finden und leben soll. Ich, Kyria Aluéla kann dir alles erklären und dich beraten, wenn du hilfe benötigst, dich mit den Zwillingsaspekt deiner Seele zu verbinden und verschmelzen. Oft braucht man erst Heilung und soll an sich arbeiten, sich besser zu erkennen. Ich kann dir auch helfen die Person die die Zwillingseele verkörpert zu verstehen, und auch energetischen Kontakt zu machen. Danach kann einiges geschehen, wenn die Menschen sich vervollständigt haben durch die Seelenvereinigung auch Kymische Hochzeit genannt. Ich biete dir Beratungen und Heilsitzungen spezializiert fur Dualseelen Vereinigung. Ich arbeit mit Klangcodes – SEELENCODES und andere Methoden um eine Vervollständigung der Seelenanteile zu erlangen. Schreibe mir eine Email wenn du Interesse hast, dann können wir alles über eine Sitzung besprechen und Buchen. Die email findest du auf meiner Homepage der Webseite.